Updates: Pope Francis visitation in the Philippines on January 15 - 19, 2015. Papal's visitation will make a big impact on our lives, our country and our history. We've been in many tragedies and disasters but our faith to almighty God never changed. Let's all welcome god's voice in the world, Pope Francis. Live updates, coverage and online streaming here at beautyofcebu.com as we welcome our Pope. 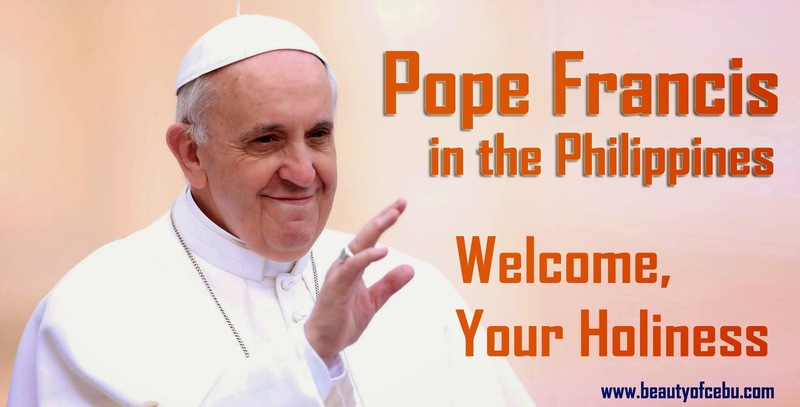 Join us as we welcome Pope Francis here in our country.